We wanted to let you know about our new winter schedule. We will be offering our regular Thursday afternoon breads and tarts and Friday evening pies once a month until March 11, 2018 (the Daylight Savings Time Spring Forward). Depending on weather, we will also offer occasional food pop-up events, of which we will notify by email/social media in advance. And, we are still open to any special requests for parties! Thank you for your kindest support! We had an inspiring introduction to and a productive conversation with Rachelle Escamilla and Chris Sweeney a couple of weeks ago. Here’s the evidence! We got written up in Edible Monterey Bay! 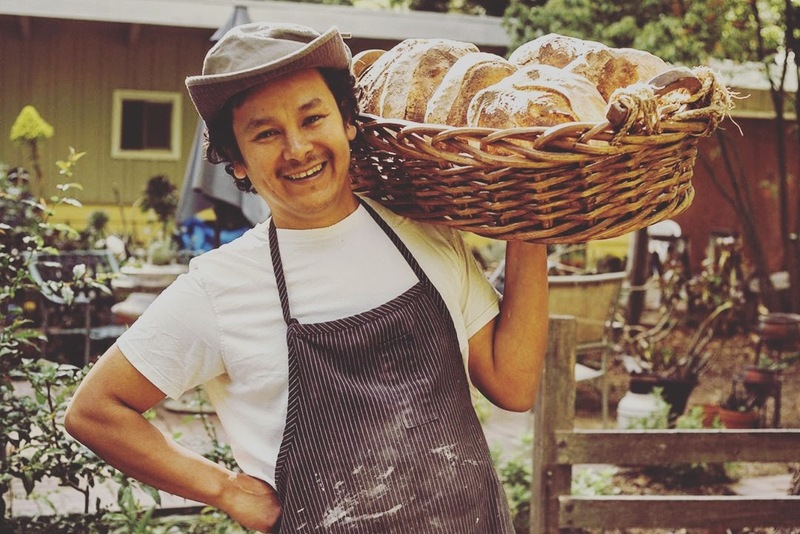 We are happy to announce a community bread-share program! Get your weekly loaf of freshly-baked handmade organic bread from us. Every week you will get a different bread (country levain, raisin bread, rye bread, and whole wheat bread). Just $24 a month. Subscribe and pick up your loaf on Thursdays from 5 to 7:30 pm from our address on Empire Grade (we will provide our address upon your subscription). Please fill out the following form, and we will get back to you with directions for address and payments. Thanks! We are so lucky to live in the region where farmer’s markets are open all year around. We were inspired by the beautiful radicchio and small nuggets of heirloom potatoes to make this savory tart.